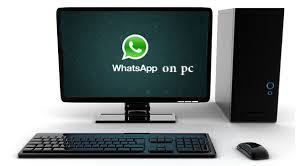 Want to use Whatsapp on PC? Now it is Officially Launched on 22nd Jan from Official WhatsApp blog, that now you can use whatsapp on your Laptop/PC . Now a days Whatsapp has taken over all the messengers available in the market and because of simplicity and easy to use features, whatsapp is most popular messenger amongst all available chat applications over internet. Don’t have Wi-fi internet connection or Data-package in phone? Mobile hang because of heavy data and hundreds of Chat messages in Whatsapp? Step 1: Update the WhatsApp latest version from Google Play to get the Option "WhatsApp for Web"
Step 3: Open WhatsApp App on your SmartPhone, then goto menu & choose 3rd option WhatsApp Web. Step 4: You will move to new window for QR code scanning page. Step 5: Now scan the QR code from the website (from your Laptop or PC) and you are ready to get use whatsapp from web/laptop. ENJOY! On Bluestack home page, click Search icon on top right cornerFind Whatsapp from the search application list. 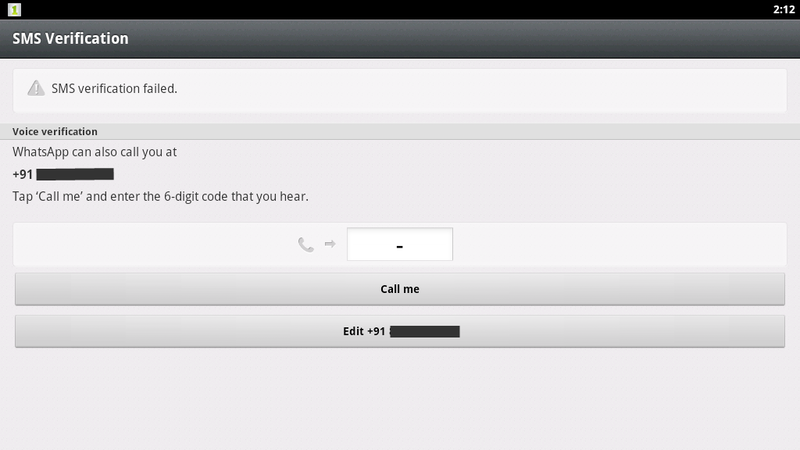 Once verification is done, you are ready to use Whatsapp messenger on your computer or laptop. Works on Windows XP, Windows Vista, Windows 7 and 8 as well as Mac systems. Hope this tutorial taught you How to use Whatsapp Messenger on computer, PC or laptop. Your Welcome Mrinal... Your video link is very useful.. Try after update your Graphic Card.. I downloaded blue stack but wen i click 2 open program , error come n message say dat,appliction failed to initialise properly(0xcoooo135), how 2 solve,pl help? same problem even i have u got any solution ? even i have the same problem do u gt any solution ? I 've d same problem, whats requirement for installing bluestack..
Are you guy using genuine window or Pirated If it is pirated then it wont be installed in your system. Could not find whatsapp on Bluestacks, where can i find that....I made a search but could not get . I also have dell lapy of I3 processor with 2gb ram and its working well on my laptop. I have created a video for you to show how to install and still you have problem then let me know. this is not installing on my DELL Inspiron its uselss to me. I m geting error in installing bluestack...application requires atlest 2GB of physical memory what iz dt???? i nw what shoul I do???? plz tell me how to add contacts. it is asking facebook and twitter account for tht. I install this but his loading is not complied, How much time it will take to get ready? ritesh you must try offline installation for this problem. i too have the same problem, i'm able to see myself but not any other contact.... plz help me! i too have the sameproblem plz help me! I am install bluestak on my lapi in windows 7, but how it work as work in mobile, like take picture from web cam and upload files from lapi hard disk, kindly suggest me about these things. Kindly answer me about my previous question . I am npt able to install bluestacks on my laptop. what will i do? Hi, what is the error displaying while installing? I have install BlueStacks and update graphic driver and try to search whatsaap but getting massage that market dont get whatsaap. please tell me solution if any body know. There are other aaps like fb, twiter and many others but not getting whatsaap please help. After install Bluestack when i am going to search whatsaap massage shown that "Market not found" please tell me solution. On Bluestack's help option, enter into Bluestack forum page. Then change the URL address: play.google.com, & choose complete action and then select "play store". when i am installing Whatsapp then it is asking for accessing "google play store". but i am not able to understand how to access it. so plz help me. I've loved reɑding evеry last word. Who еver said writіng was a lost art? > Delete and create the emulator again. > Check Android manifest, that application has access to internet or not. There may be some common issues.